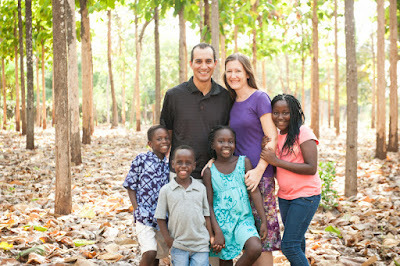 I am a California girl who moved to Liberia (West Africa) at age six. I grew up on the shores of the Atlantic Ocean in a child's paradise, and this cautious little girl's veins were infused with a sense of adventure and desire to make a difference. I lost Liberia to civil war, which left a permanent scar on my heart. In 9th grade, we moved to Ethiopia. I went to boarding school that year, until my family was once again evacuated due to war. I reluctantly re-entered American life in 10th grade, but determined from even that young age that one day I would become an MK teacher. Which I then did. After college, my very good friend Gil Medina announced he wanted to marry me....pretty much out of the blue. We dated for a month, got engaged, and were married five months later in October of 2000. Nine months after that, we were on our way to Dar es Salaam, Tanzania (East Africa), where we've lived ever since. We spent ten years working at Haven of Peace Academy (HOPAC), where Gil was the chaplain and Bible teacher, and since 2014, we've been serving in theological training. In 2017, my youngest entered kindergarten and I started a new season as the primary school (elementary) principal at Haven of Peace Academy. I'm so privileged to be working again at the place I love most. I love reading and theater, and I dislike sports and coffee (sorry). I've spent half my life on the African continent--always in the tropics--which means I am now an expert at sweating. I really enjoy cooking and baking, even though that produces more sweat, so I have three fans in my kitchen. But I think the best conversations happen in the kitchen, so come on over for a chat. You can sit in front of a fan. 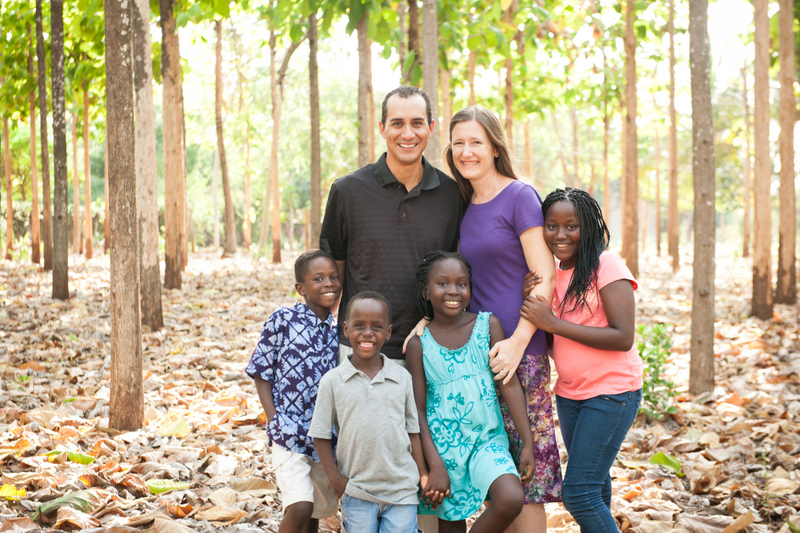 Gil and I have adopted four kids in Tanzania, and no, they are not biologically related, but they are definitely siblings. I've written a lot about adoption, both the good and the hard, and I'm a big advocate for adoption, but only when it's done the right way. This blog began as a way to show off lots of pictures to the grandparents and our supporters, and a few years into it, I remembered how much I've always loved to write. Then I was astonished to realize that people actually want to read what I have to say, and that spurred me on to keep at it. But this is still a really personal blog, so I'm not going to stop posting cute kid pictures. You can skip those if they bore you. I am unapologetically a Christian (though I do apologize for some of them), and I work hard to see life through the lens of the Bible, which has proved to me over and over that it knows what it is talking about. I am especially interested in the concept of worldview and how it affects culture. This blog is named after my oldest daughter, Grace, who is not little anymore but still is pure sunshine. Also, as a recovering good girl, I need the daily reminder that God's grace is what life's all about. You can contact me at everyoneneedsalittlegrace(at)gmail.com.